The car battery is one of the most important components of any vehicle. It is used to start the car, power up all the electronic devices and much more. Incorrect or failing batteries can cause havoc with the electronics and stress on other components. The best car battery is the Optima Batteries 34 RedTop that provides 720 CCA and high starting power even in cold temperatures. For large or performance vehicles that require extra power, the Odyssey Extreme AMG Battery provides a huge 950 CCA. When fully charged, a car battery should output at least 12.65 Volts and if it doesn’t, it may cause issues. It is advised that you change the battery before its too late as frequent jump starts and flat batteries can cause issues with other car parts overtime. When deciding which car battery is best suited to your vehicle, you have two main types to choose. These include the standard lead acid and AGM car battery with the latter being the more expensive of the two but offers better draining ability. Choosing the correct battery for your car is crucial as some are designed for larger cars or even different climates (hot or cold weather). Whenever you drive your car, the car battery will be required and therefore its worth spending the extra. Below is a list of the best car batteries that work perfectly in cold weather with high cold cranking amps and provide excellent value for money. Optima is a popular car battery brand in the US and the 8002-002 34 RedTop is a maintenance free and easy to install battery for your car. It has high cold cranking amps for excellent starting ability regardless of the cold weather. The Optima RedTop car battery is suitable for a range of vehicles from small to large vehicles, trucks and even hot rods. One stand out feature that many may find useful is a powerful burst of cranking power, which ensures a reliable start every time. Overall, it is the best car battery that is leak-proof and provide high CCA for excellent starting in cold weather. The excellent reserve capacity of 100 minutes also provides constant power all the time and Optima claim that this battery will last twice as long as any standard alternatives. It is perfect for daily drivers, classics, sports car and trucks. For those requiring a powerful car battery with high cold cranking amps, the Odyssey Extreme is the answer. With a CCA rating of 950, it provides enough cold cranking amps to start large trucks and other vehicle running large diesel engines. Many large engine vehicles and trucks require far more CCA than the standard car batteries. Due to the high power required, they are often more expensive than the standard car battery, which the Odyssey Extreme is but you do get sheer power. The 58 LBS weight and pure lead used in the construction shows the quality of this battery. Overall, it is the best AGM battery for cars of all types that include performance, classics, 4×4, offroad, trucks and any vehicles that require maximum power. Bosch is a brand that need no reputation and provide a range of automotive parts from car batteries to wiper blades. The S6 Flat Plate by Bosch is a maintenance free and spill proof construction that comes with an impressive 4 year warranty. This AGM battery has been designed to withstand many modern luxuries found in cars today. These include stop-start, heated seats, big in-car-entertainment and much more. Many older batteries simply cannot handle this extra load and its important that you do your research beforehand as car technology has changed. The Bosch S6508B S6 Flat Plate is a top rated car battery that has been designed for modern vehicles. It has plenty of starting power and is suitable for a range of cars as well as offering excellent value for money. The DieHard Advanced Gold Series is an AGM car battery that is available as a group 34, 34R, 35, 48 and 49 type. The construction of the Advanced Gold Series is fairly impressive as it has optimized power full-frame positive and negative plates, which prevent electrical shorts. Twice the cycle life compared to similar priced batteries. Overall, the DieHard Advanced Golf is the best car battery for the money considering the high cold cranking amps, reserve capacity and long battery life. 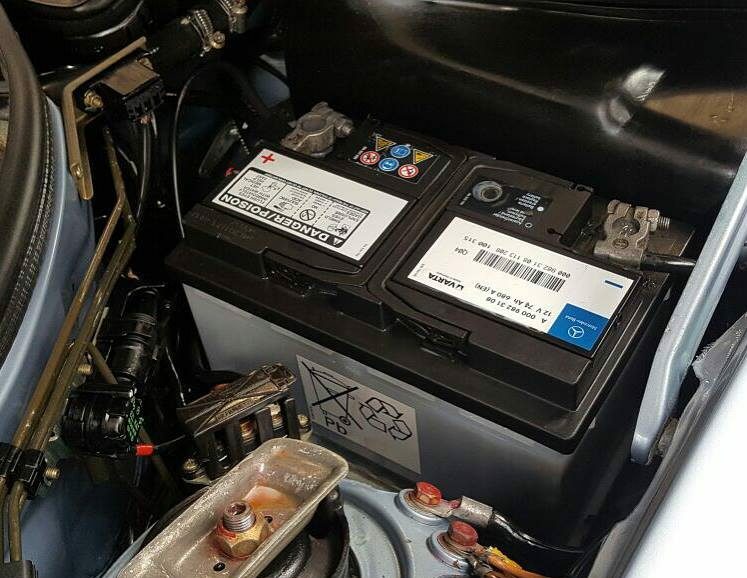 It is worth mentioning that this car battery is slightly heavy compared with the other similar sized alternatives but there is useful handle that is wide enough for two hands when transporting the battery.
. With various automotive products, ACDelco have an excellent reputation for high quality and value for money. Overall, the ACDelco 78AGM offers excellent value for money and is built by a reputable brand within the automotive industry for peace of mind. Another car battery from the Odyssey Extreme Series is the PC1200MJT, which has a non-spill and vibration resistant design. However, unlike the 65-PC 1750T model, it is not as bulky or powerful, which also means its slightly cheaper too. The Odyssey Extreme PC1200 may seem fairly expensive but the quality and heavy duty construction is what you pay the extra for. It will be able to start your car reliably every time and can be rundown and then recharged multiple times. The car battery can be an absolute nightmare when it goes wrong as it is required for almost every electronic device in your vehicle. Even when starting your vehicle, you may think that it is something mechanical but often it is simply a battery that is not produce enough cranking power. Obviously, not all cars will use the same battery and some require far greater power compared to smaller vehicles. Using the wrong battery can cause unnecessary stress upon other components and therefore, its important to get the correct battery. Below we cover every aspect of a car battery to hopefully improve your knowledge and ensure you get the best bang for your buck. Car batteries can be recognized as two different types, which include a lead acid battery, which is a standard car battery and the more modern AGM battery (Absorbed Glass Mat). Both come with separate benefits as discussed below. The lead acid battery is the cheaper of the two and much more widely used with car owners. 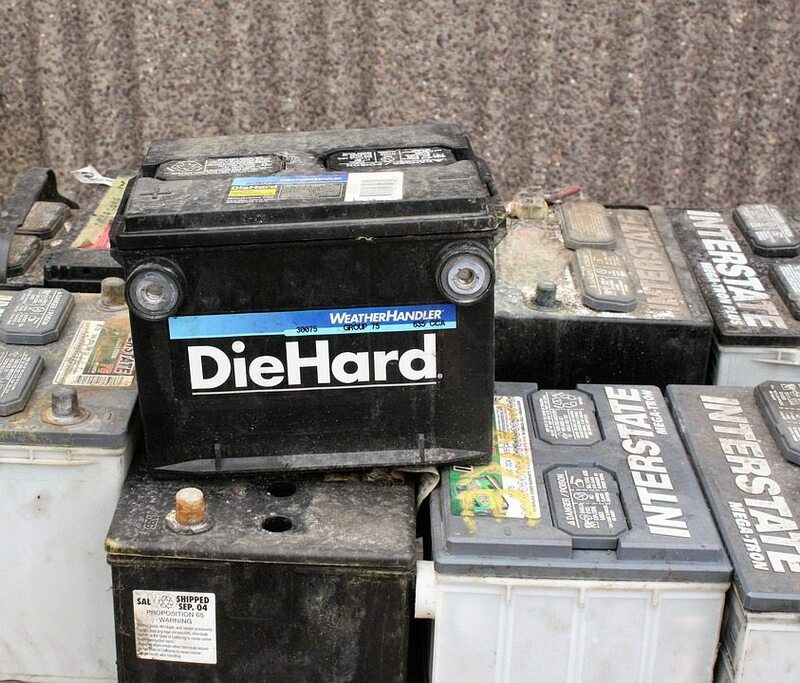 Older lead batteries use to require regular maintenance by topping up the water in the electrolyte solution. However, these days they are maintenance free and retain their fluid. The one major downfall with a lead battery is that they cannot hold charge for as long as the AGM alternative and may suffer from long discharges. As car battery technology has improved, the more modern AGM battery has been the first choice for many car owners. This is due to the ability to withstand many recharging cycles and repeated draining. On top of this, they have been designed to withstand modern luxuries found in the cars of today such as stop-start systems, additional electronic load and much more. Cold Cranking Amps is often referred to as CCA and it is measured by the number of amps a battery can output when the temperature is at zero degrees Fahrenheit. For drivers of large gas engines or diesel powered vehicles, this is a figure you should be looking out for. Diesel cars in particular draw a large amount of current in order to heat the glow plugs and start the car and having a large amount of CCA will help starting the car in cold weather in the winter. The majority of car batteries will be labelled with either a letter “N” or “S”, which means North for cold weather and South for hot weather. When choosing a battery, you should pay close attention to this label and the climate you live in. When purchasing top rated car batteries, you expect to have a longer service life compared to a cheap battery. This is often the case with Odyssey batteries leading the pack with up to 10 years of battery life. New car batteries should almost all come with a warranty that should at least be 2 years. Many reputable brands have longer but comes with an increased price tag. A car battery can lose health by general poor maintenance. For example, letting the battery drain frequently to the point that it requires jump starting is not ideal. Using a portable jump starter once or twice in its whole life time won’t do much damage but every other week certainly will. 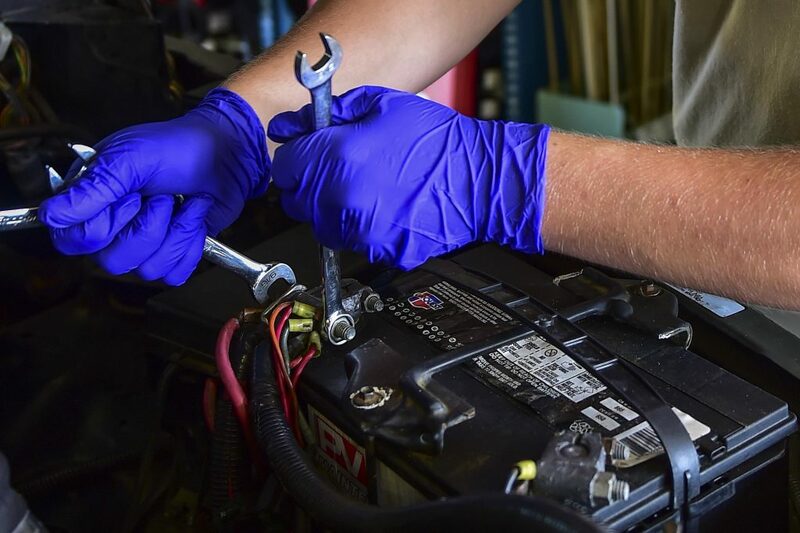 If the car is not used regularly, we highly recommend using a car battery maintainer, that ensures the battery level is topped up to a safe level all the time. If you are experiencing multiple of the above symptoms and have a fully charged battery, then its probably dead. However, if it is not fully charged, it may be struggling to recharge and especially so if you are only doing small trips. We highly recommend using the best car battery charger you can get your hands on and allow the battery to reach full charge and then test the battery again before purchasing a new car battery. To save money, many people may opt for a second hand car battery, however we strongly recommend that you do not. You may get lucky but half the time you may find yourself getting out the jumper cables from the trunk and asking for help. At the end of the day, even the best car battery is not too pricey considering their life expectancy and high performance. Our recommendations in this article are very popular in the US and offer excellent value for money. If you own an RV, many of these brands offer different types as an RV battery will be a deep cycle with a much larger reserve capacity. Turn your engine off. Ensure you are in park (or in gear for manual cars) and you have the handbrake applied. Open bonnet and place pad over wing. Ensure that the bonnet is at its highest position and that the protective pad or blanket is placed on the wing. This ensures that no battery acid leaks out onto your paintwork. Remove any bolts or straps that are holding it in. To ensure that the battery doesn’t move around whilst the car is being driven, there are usually bolts or straps holding it in place. Remove these in order to take the battery out with ease (as shown in image above). Remove negative cable connection first. The negative cable is removed first because its connected to the chassis of the car. Removing the positive cable first could cause a short if you accidentally hit the chassis with a wrench. Starting with negative, use a wrench to loosen the nut and pull up the cable with your hand. Repeat for the positive cable. Remove the car battery. Take the battery out slowly, avoiding hitting the paintwork and place out of the way. If its leaking, do not let the battery acid drip onto any paintwork, clothes or yourself. It is always good practice to clean up the battery tray of any debris or rust build up. When cleaning, ensure that you use gloves in case there is acid present. Your car battery is a critical part of any vehicle you own and without it, you will be unable to start your car or use any electronics inside the car. For this reason alone, its worth paying the extra for the best car battery you can buy. All of our recommendations above are suitable for a range of vehicles, conditions and budgets.